Home » Blog » What can direct marketers learn from comic books? Don't let the flashy costumes fool you – superhero comics are a business like any other. Comic book publishers face the same sales and promotion challenges that we deal with in our own industries. These companies' attempts to solve these offer some useful lessons for us to take on board for our own marketing campaigns – and they're not just Spider-Man's mantra of "with great power comes great responsibility". In 1993, two major comics publishers, Image and Valiant, teamed up to release a crossover series that starred characters from both companies. The event, titled 'Deathmate', was highly publicised, but publishing delays meant the series didn't give readers what the marketing promised. Publishing delays meant 'Deathmate' didn't give readers what the marketing promised. "The retailers became increasingly hostile towards Image and us. A lot of them were put in financial jeopardy due to the lateness of the Image side of the project. Some even had to close their doors." The lesson for marketers is this: don't over-promise. If you talk the talk, then you need to back it up with quality. Marketing that says you'll give more than you actually can is only going to cause resentment and lost sales in the long run. 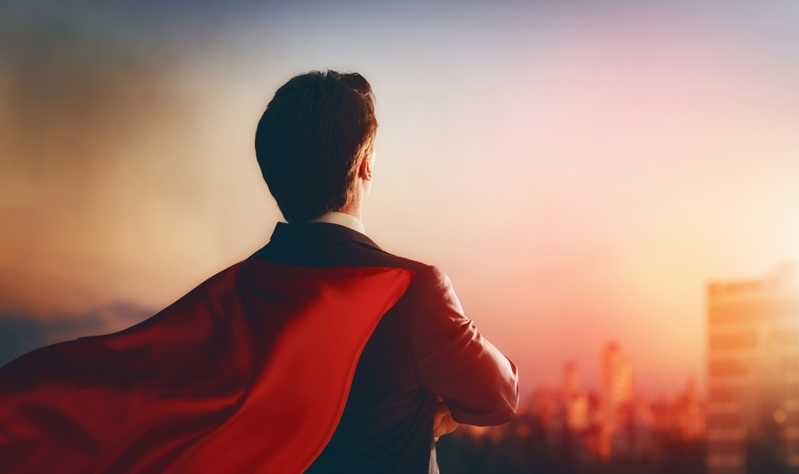 Integrity and resourcefulness are important traits for superheroes – and marketers. Not every comic industry story is a disaster like 'Deathmate', and some of the greatest successes come from their ventures into other media. The Marvel Cinematic Universe has collectively earned over US$12 billion at the box office. The movies of the Marvel Cinematic Universe have collectively earned over US$12 billion at the box office, according to Forbes. The 2011 'Batman: Arkham City' video game sold two million copies in its first week. Superman origin story 'Smallville' ran for ten seasons on television. Even if you've never read a comic book in your life, you can almost certainly recognise Spider-Man from his appearance on just about every screen and merchandising opportunity available. So what's the lesson here? Diversify. If your main channel isn't selling well – or even if it is – a multichannel marketing approach offers you new ways to find an audience. Like the companies who apply their superhero IP to any medium that will take it, your brand should embrace any marketing avenue that will connect you with potential customers. Is your SME’s marketing strategy working?